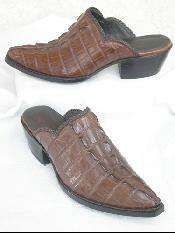 Milk chocolate good enough to wear. Hornback alligator in all it's glory. Swamp sisters, part of the rainbow of colors. Finished with piping made from kangaroo. Dressy, elegant and handmade. 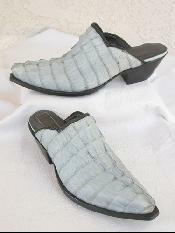 Leather lined and piped with kangaroo leather. 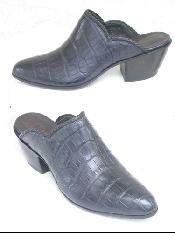 Crocodile tail used here to make a mule that is truely one of a kind. 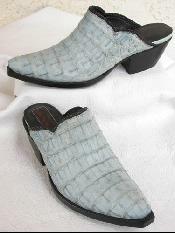 Mules in crocodile by Tres Outlaws. Handmade in Texas. 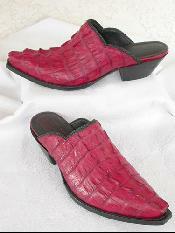 Crocodile mules completely handmade. 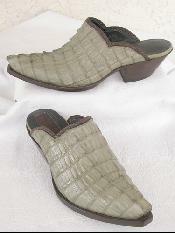 Scott Wayne designed these as part of a collection, "Swamp Sisters". 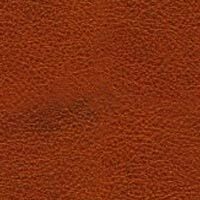 Leather lined, finished with piping made from kangaroo. Ridges, ridges and more ridges. 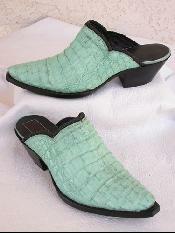 Handmade in El Paso Texas by Tres Outlaws. 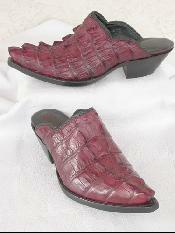 Each one of these crocodile mules is different. They are all made in the same old world fashion, though. 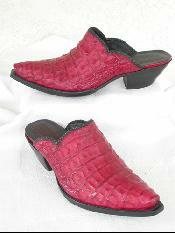 Made from crocodile and done up in a deep red. 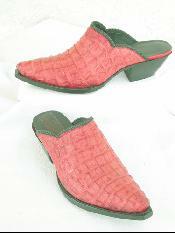 Part of a collection called "Swamp Sisters". 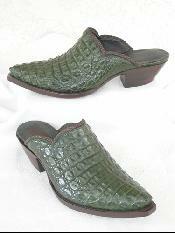 Mules made from glorious crocodile. Part of the swamp sister collection. 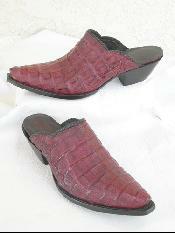 Hornback crocodile. Easy coloring for easy wearing. More richness, more luxury. 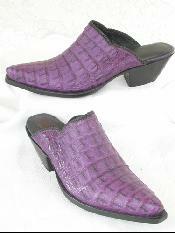 Alligator, not crocodile. 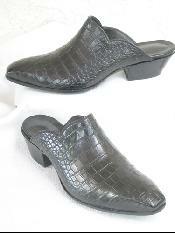 Crocodile mules. Here in sky blue. Textured beyound compare. Swamp sister with a color from the swamp, olive. 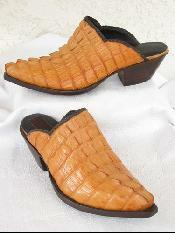 Made from caiman alligator.